We use a number of technologies and techniques to immerse visitors in our clients’ stories. 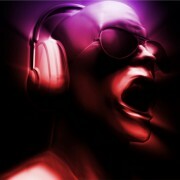 Binaural sound is one of the simplest, but most effective. 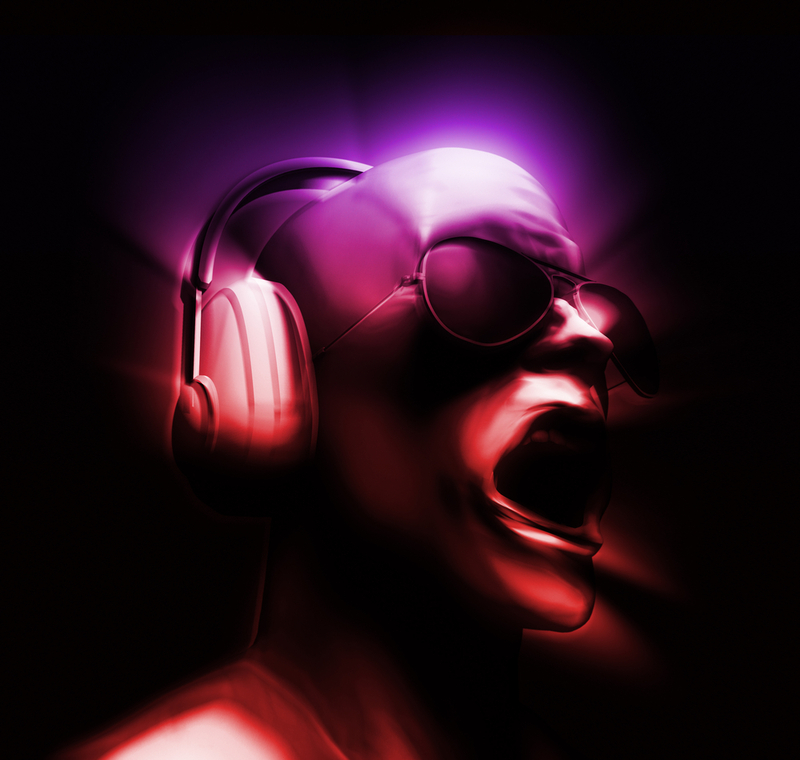 Binaural sound is so immersive, your visitors will be agape. I’m walking through the most English of English gardens – all manicured lawns and artistically sculpted hedges. What I’m hearing, though, isn’t quite so quintessentially English – it’s the distinctly tropical sound of humming cicadas. But despite the fact I know that this is clearly the ‘wrong soundtrack’, my brain is telling me that this distinctive hum must be coming from the garden around me. Such is the power of binaural sound. Binaural sound is an immersive sound technology delivered via headphones. If you know how to use it properly, you can trick the user’s brain into hearing sounds all around them – to the left, right, behind, in front, above, at different distances and any combination of those directions! 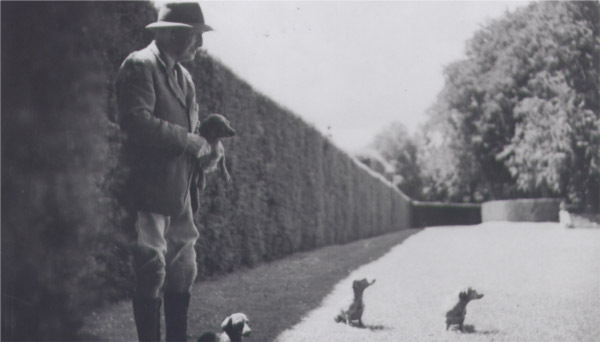 I had the experience described above when testing our audio guide for the National Trust’s Hidcote Manor Garden. The audio brings the garden’s creator, Lawrence Johnston, back to life – binaurally – to take you on a tour of his garden and his life. One sequence takes the listener back to one of Johnston’s 1920s plant hunting expeditions on the South African veldt. My ears were telling me I was in Johnston’s beautiful arts and craft garden. My ears were telling me that I could hear cicadas. And, because of the nature of binaural, my brains was telling me that those cicadas must be in Johnston’s garden. Binaural is so effective because, unlike stereo, it’s recorded in exactly the same way the brain hears. Think about how you hear a sound – a sound to your right will be heard by your right ear fractionally before your left ear, and the sound you hear in your left ear will be distorted a little by the fact that the sound is passing through your head en route. You only have two ears (a safe assumption I hope) so your brain can’t properly triangulate. Therefore, it has to work out from these fractional differences, and other contextual clues, exactly where the sound is coming from. If you understand how the brain works, you can ‘trick’ it into hearing sounds in all sorts of places. For example, one of the common misconceptions about binaural is you can’t make the listener hear sounds in front of them. This is because your sight is a large part of your hearing (bear with me). The brain can’t locate a sound properly with only two sound sources, so your first instinct is to look for the thing that could be making that sound. Once the likely culprit is spotted – for example, a mobile phone when you can hear a ringing – your brain will allocate the sound to this object. You can use this knowledge to make binaural even more effective if you understand the location your listener is standing in when they listen to it. In our ‘Walk with Lawrence Johnston’, the distant bleating of sheep on the soundtrack coincides with the listener overlooking a distant field of sheep. When I was testing the experience, I couldn’t tell if the bleating was ‘real’ or was part of the soundtrack. Certainly my brain was telling me it must be coming from the sheep – and I was ‘hearing’ that sound coming from a field slap bang in front of me. Another clue your brain looks for is context. If, by experience, the brain knows a sound comes from a certain place, then this element in a binaural soundtrack will be heard in this place. So the sound of a plane will be heard high above your head, the close yapping of little dogs will be heard down low by your feet, the tweeting of birds will be heard in any tree that is in vision. The final thing to note about binaural is to do with the nature of sound vs. visuals in our sense hierarchy. Dinah and I have found many virtual reality experiences disappointing partly because we’re so visually dominant, our brains often ‘see through’ the trickery. Because sound is a ‘secondary sense’, it’s easier to fool the brain. We like to say that sound is ‘hardwired’ into the imagination – get it right and it really can be transportative. It’s one of the reasons that binaural sound is so effective. When I first heard those cicadas, my brain said ‘wrong’ but after a matter of seconds it had switched back to focusing on what I was seeing, rather than what I was hearing, and the cicadas became the ‘actual’ soundtrack to the garden. How can you use binaural sound? Well, you can use it to transport your visitors to wherever and whenever you fancy. We’ve used it to transport listeners from a 21st century shopping centre to a 19th century factory floor, back 300 years in a Methodist chapel to eavesdrop in on the conversations of two of the movement’s founding fathers, and to pitch them into the midst of a medieval battle. But the possibilities are endless. Imagine for a few moments how binaural sound could enhance a visit to a castle. Other senses are stimulated – visitors can see the walls, towers, moat and courtyard, smell the distinct damp limey odour of the interiors and touch the cold stone walls. Binaural sound – the babble of the tradesman in courtyard, the crackling fire and bawdy banter of the great hall, the low moans from the dungeons – would be all that you’d need to transport your visitors back 1000 years. Or what about creating a binaural audio tour of one of your experts taking visitors around your gallery? Not only would the commentary be natural – a stark contrast to the stilted scripted audio guides that curse many attractions – but the binaural would make the listener feel they were actually part of that group and that the expert was with them, guiding them around and sharing his knowledge in ‘real time’. How much richer an experience for your visitors would that be? Whetted your appetite to try some binaural for yourself? Well, fish out your headphones and try one of the sample below and let us know what you think via the comments below. And if you’d like to know how binaural, or any of the other immersive techniques we’ve described in this blog, could enhance your museum, gallery or attraction, just drop us a line.